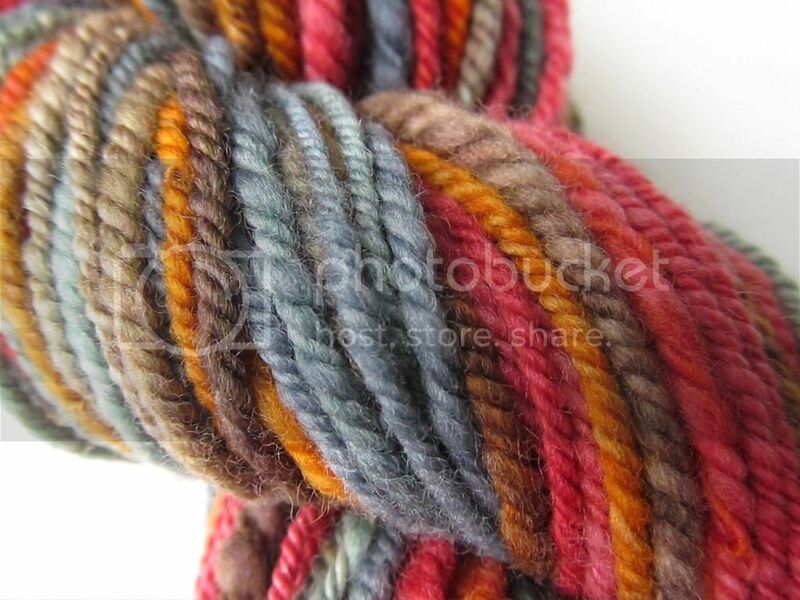 Wool and Wheel: Folktales handspun. 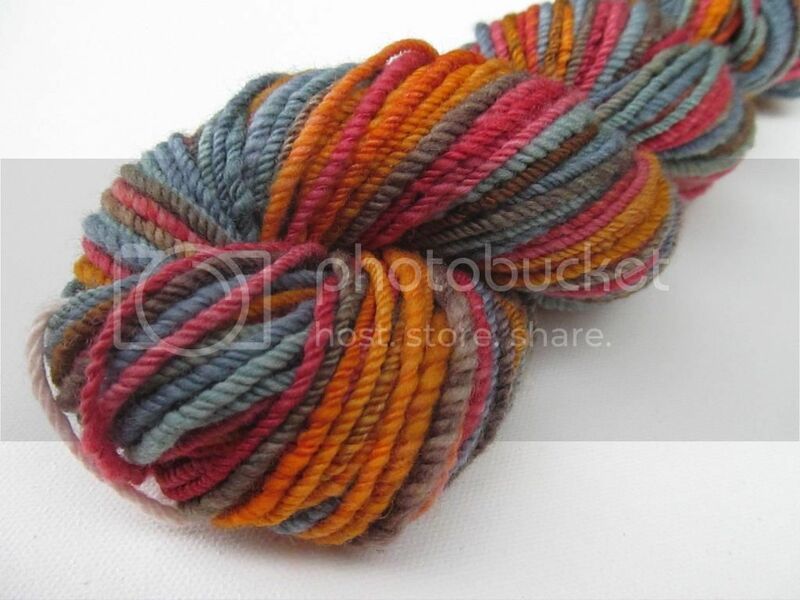 After I finished the spinning class on Craftsy, I was itching to spin some dyed fiber. It turns out that most of my spinning stash is white or cream, so I ordered some colorful fiber from Spun Right Round. I love her shop. 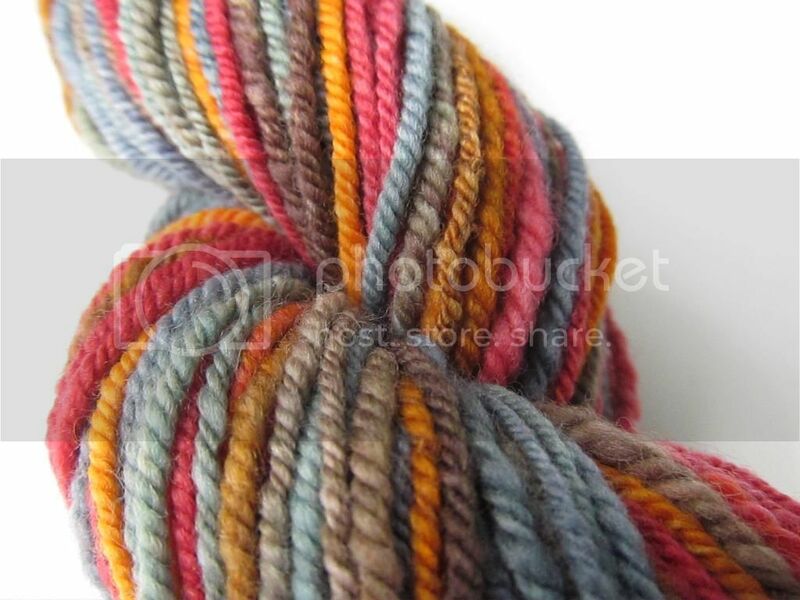 The fiber is soft and wonderful to spin, the colors are gorgeous, and the customer service is excellent. There was a little hiccup with my order, but it was resolved in no time. 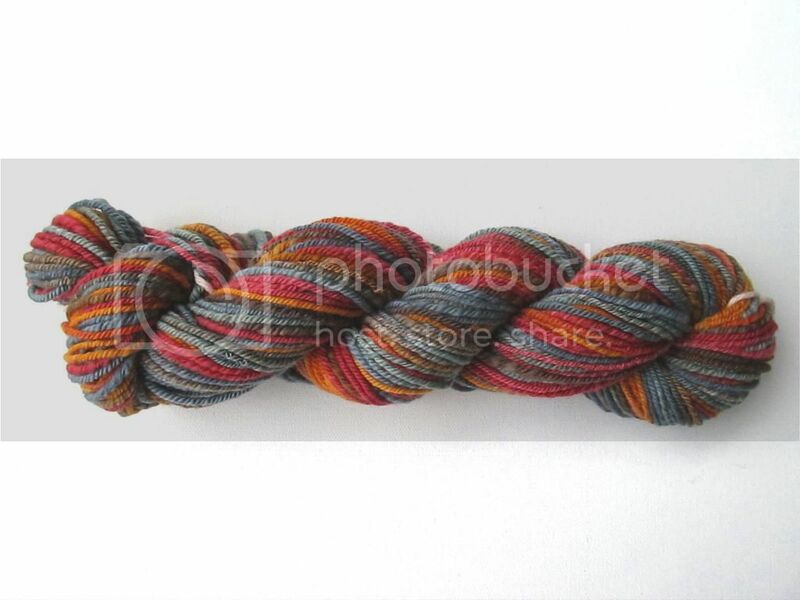 The first braid I spun was some Polwarth in a colorway called Folktales. This was my first time Navajo plying. With n-plying (or chain plying), you spin all of the fiber into one long single. Then you ply it back on itself in a looping way, sort of like a crochet chain, and that forms a three ply yarn. It's sort of hard to explain, and it was trickier to get the hang of than I expected. But I think I finally got it. :) This video helped so much. Navajo plying keeps the colors clean and prevents barber-poling, which is when two very different colors are twisted around each other in handspun. It makes clear stripes when knitted up. 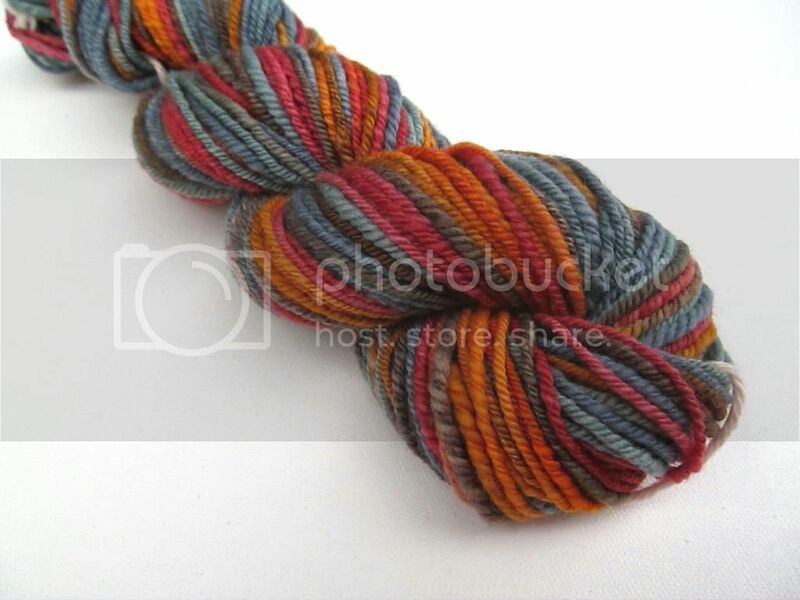 I'm so pleased with how this skein turned out. The colors were actually even prettier than I expected! When I was spinning it, it made me think of what I imagine a desert sunset would be like...think sunset at the Grand Canyon or something. :) All of those yellows and oranges and pink reds, toned down by the bluish gray and brown. I love it. I ended up with 138 yards of worsted weight...enough for a small cowl, I hope.